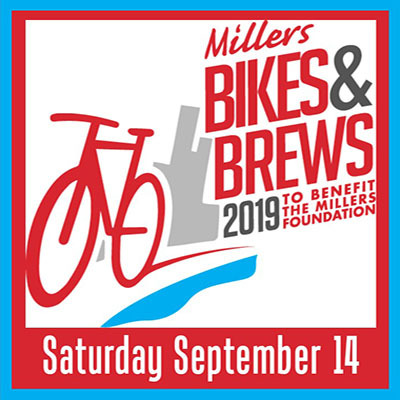 Celebrate local cycling, local craft brews, and local charities on this family friendly ride. Bike from Benchtop and Smartmouth breweries along Norfolk’s Elizabeth River Trail to O’Connor’s “tap takeover” at Millers ODU. Return to Smartmouth for an after party featuring a live band and food trucks– all to benefit The Millers Foundation and its charities. A day of fun on Norfolk’s Elizabeth River Trail to raise money for local charities! © Copyright 2017. The Miller Oil Foundation. All Rights Reserved.